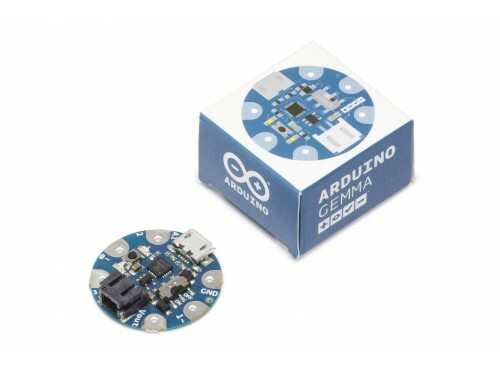 Arduino Gemma is a miniature wearable microcontroller board based on the ATtiny85. 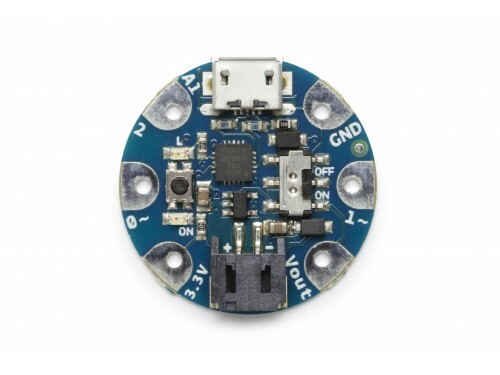 It contains everything needed to support the microcontroller; simply connect it to a computer with a USB cable or power it with a battery to get started on your wearable projects! The Arduino Gemma is a microcontroller board made by Adafruit based on the ATtiny85. It has 3 digital input/output pins (of which 2 can be used as PWM outputs and 1 as analog input), an 8 MHz resonator, a micro USB connection, a JST connector for a 3.7V battery, and a reset button. It contains everything needed to support the microcontroller; simply connect it to a computer with a USB cable or power it with a battery to get started. 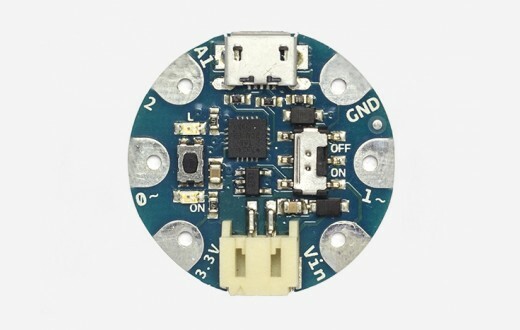 The Arduino Gemma can be powered via the micro USB connection or with a 3.7V Li-Ion battery (connected to the JST connector on the board). Either power source is regulated down to the operating voltage (3.3V) by the on-board MIC5225. 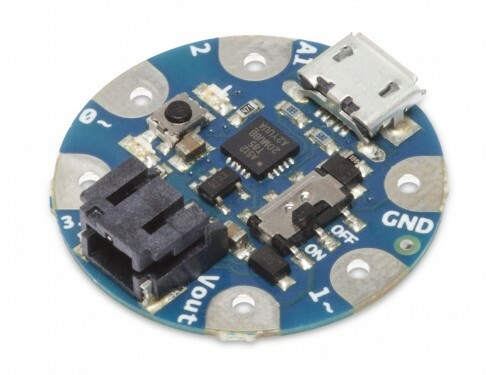 Vout: This is a voltage OUTPUT pin, it will be connected to either the USB power or the battery input, whichever has the higher voltage. This output does not connect to the regulator so you can draw as much current as your USB port / Battery can provide (in general, thats about 500mA). 3Vo: This is the 3.3V OUTPUT pad from the voltage regulator. It can provide up to 150mA at a steady 3.3V. Good for sensors or small LEDs or other 3V devices. The ATtiny85 has 8 kB (with 2.75 kB used for the bootloader). It also has 512 Bytes of SRAM and 512 Bytes of EEPROM (which can be read and written with the EEPROM library). 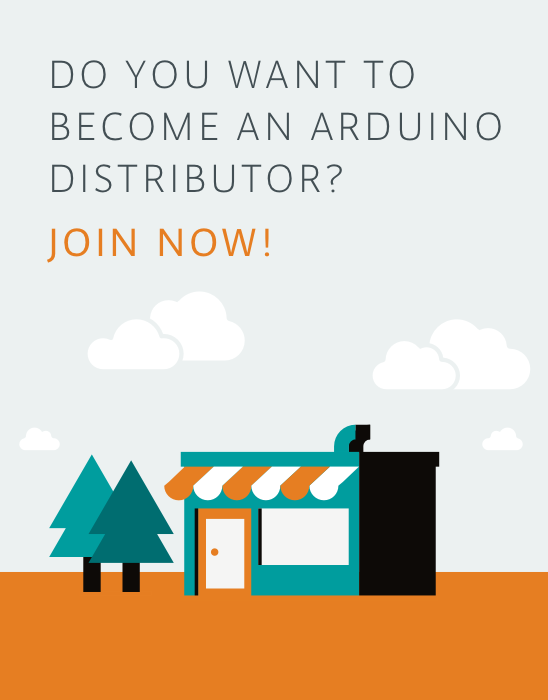 Each of the 3 digital I/O pins on the Arduino Gemma can be used as an input or output, usingpinMode(), digitalWrite(), and digitalRead() functions. They operate at 3.3V volts. Each pin can provide or receive a maximum of 20 mA and has an internal pull-up resistor (disconnected by default) of 20-50 kOhms. TWI: D0 (SDA) and D1 (SCL). Support a simple TWI communication using the Tiny Wire library. PWM: D0, D1 Provide 8-bit PWM output with the analogWrite() function. The Gemma doesn't have a 16bit timer, so to drive servos the Soft Servo library is suggested. LED: 1. There is a built-in LED connected to digital pin 1. When the pin is HIGH value, the LED is on, when the pin is LOW, it's off. Analog Input: A1 The Arduino Gemma has 1 analog input, labeled A1, which can also be used as digital I/O. The analog input provide 10 bits of resolution (i.e. 1024 different values). By default the analog input measure from ground to 3.3 volts. The Arduino Gemma doesn't support the Serial Monitor, but SoftwareSerial library allows serial communication on any of the Gemma's digital pins. The Arduino Gemma can be programmed with the Arduino Arduino Software (IDE). The ATtiny85 on the Gemma comes preburned with a bootloader that allows you to upload new code to it without the use of an external hardware programmer. It communicates using the AVR109 protocol. You can also bypass the bootloader and program the microcontroller through the SPI pins. The bottom of the board has a large pad that is connected to the Reset pin, you can use it soldering a wire to it. Note: Some computers' USB v3 ports don't recognize the Gemma's bootloader. Simply use a USB v2 port or a USB Hub in between. The Arduino Gemma requires a physical press of the reset button before an upload. After the processor resets, the bootloader starts, remaining active for about 10 seconds. 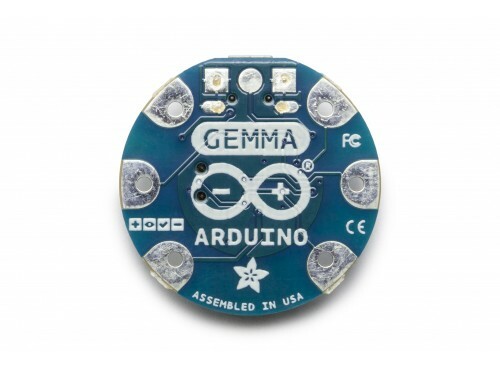 The Arduino Gemma is a circle, approximately 27.98mm (1.1") round in diameter. The Micro USB connector extends slightly beyond this diameter. The board itself is .8mm (1/32") thick (approximately 6.5mm (1/4") including components, the tallest of which is the JST battery connector).